Dark clouds can’t dampen your holiday at Ladram Bay. No matter what the weather’s doing you can always head inside for a feast of fun indoor activities. 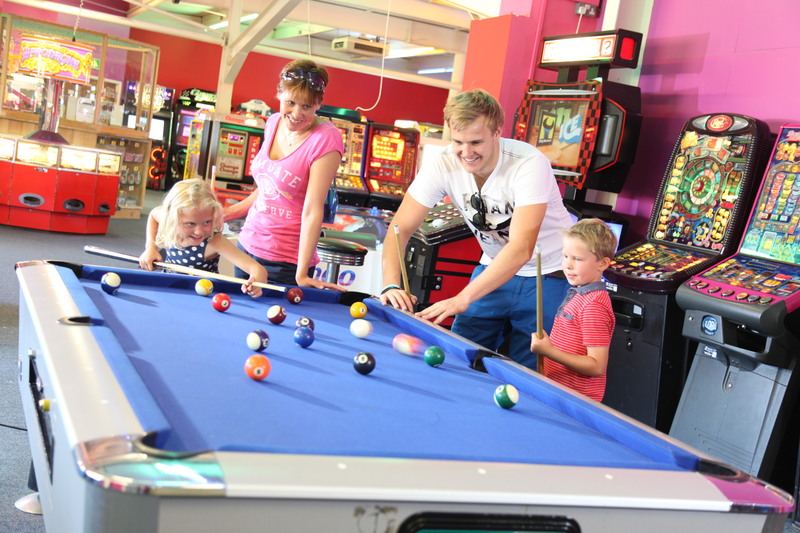 Whatever your age group and interests, you’ll find plenty of ways to wind down when you want to relax, and plenty of ways to have fun with all of the family. 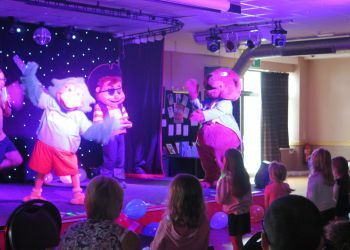 Here are some of the indoor activities you can enjoy at Ladram Bay Holiday Park. 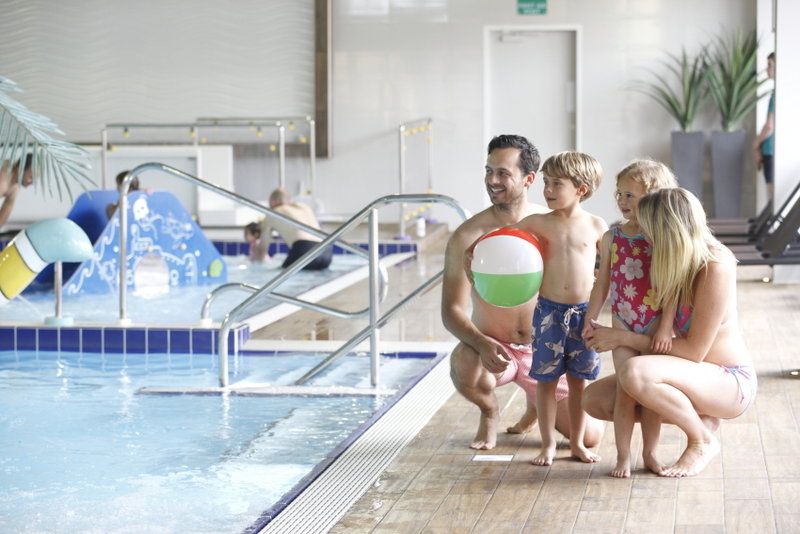 Take a dip in the warm water of our heated indoor swimming pool, where there’s a large pool for adults and older children and a safe aquatic play area for younger kids. Why not throw in a session in the sauna, steam room and/or Jacuzzi? 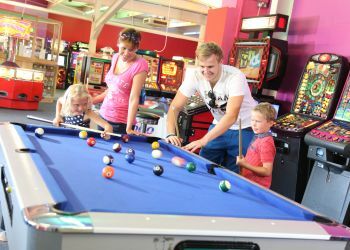 Once all that watery fun has whetted your appetite, pop into the Swimming pool cafe for a bite and a drink. Here at Ladram Bay we’re extremely excited to announce the launch of a brand new indoor climbing wall. Designed specifically for the park the new wall will be located in the Three Rocks Complex and is set to provide fun for all abilities. At a height of 5.8m the wall will offer 14 different climbing routes across 83 square metres. Who’s even more excited than a kid in a sweet shop? 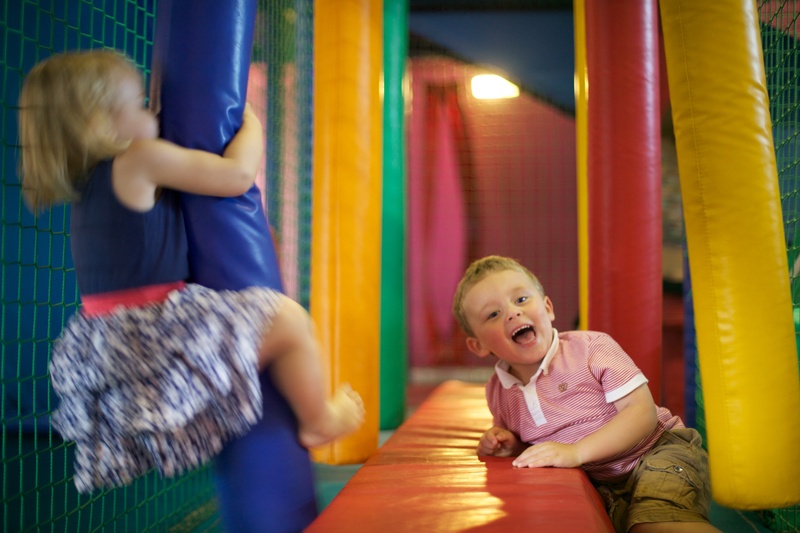 The answer is a kid in our soft play area – based on the reactions we’ve had since this attraction was opened. It’s a fun-packed, foam-padded paradise for the under-fives, which gets kids giggling like nothing else. 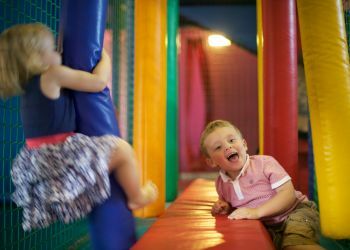 Parents love it too, as it’s a fully-supervised indoor activity, located conveniently in the Three Rocks Complex. It’s just next to Pebbles restaurant, too, meaning you can nip over for a coffee. Ozzie’s Den is where our kids’ clubs take place. There’s ‘Pickles’ Playtime’ every morning for the under-fives. 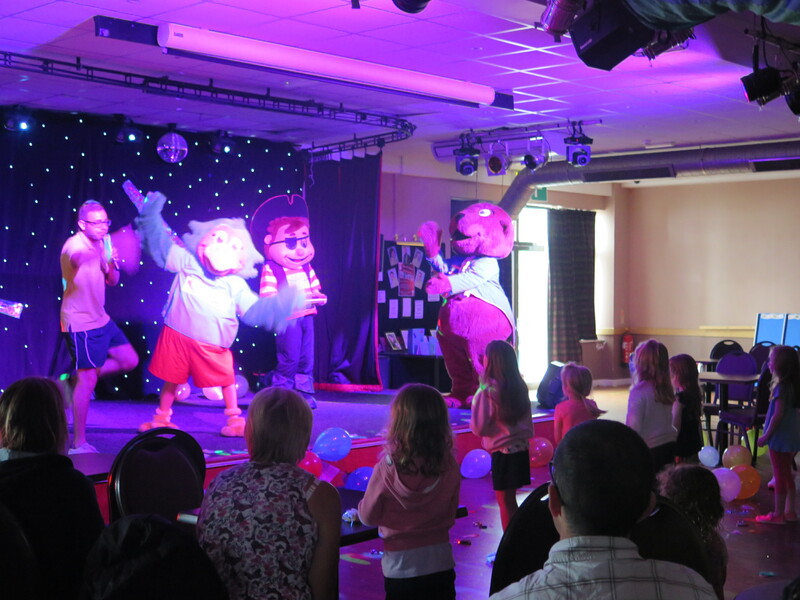 After that, Ozzie’s Club takes over, entertaining kids between five and 12 years old. Finally, for our 13-17-year-old guests, Teen Club is the place to be. Every day and evening, you’ll discover indoor activities and entertainment options that mean the fun never has to stop, whatever the weather.